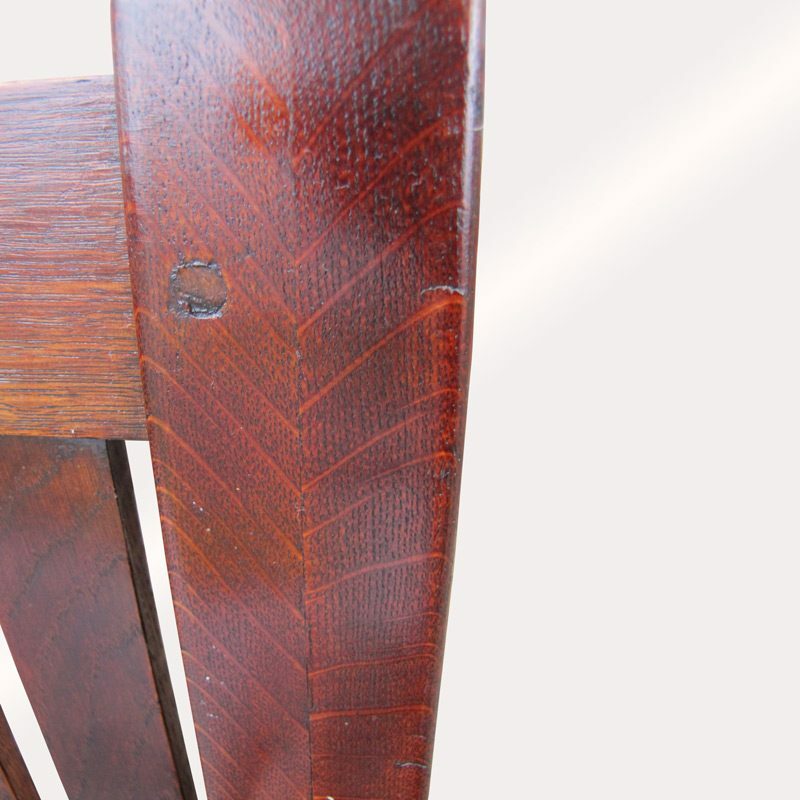 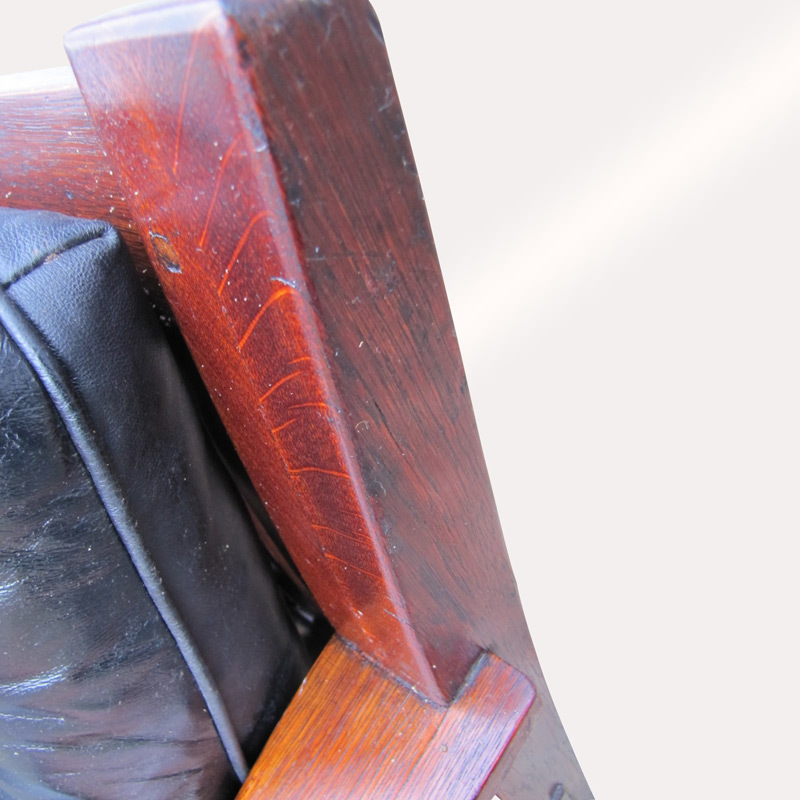 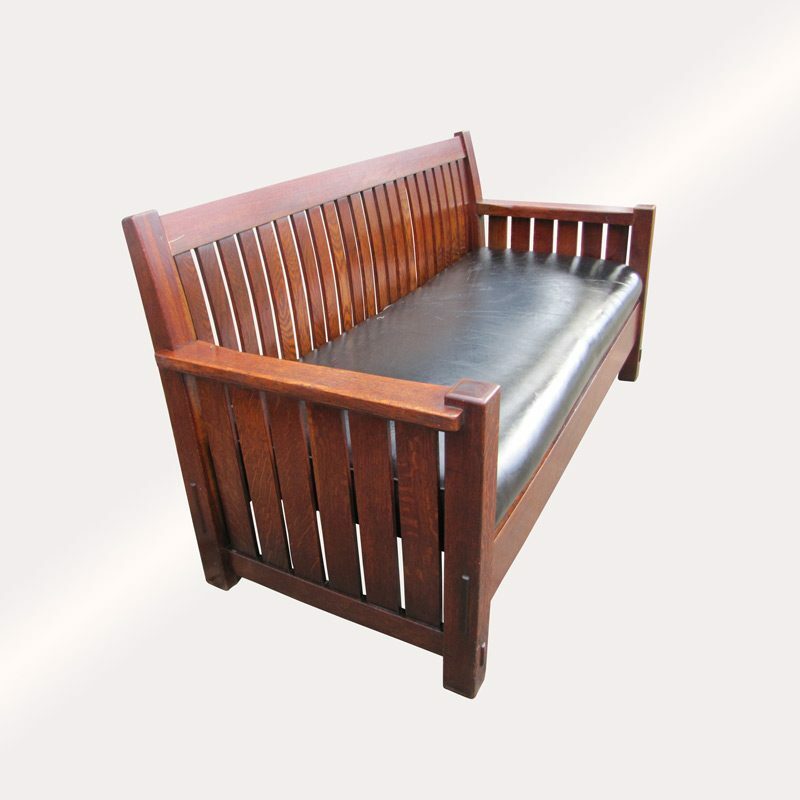 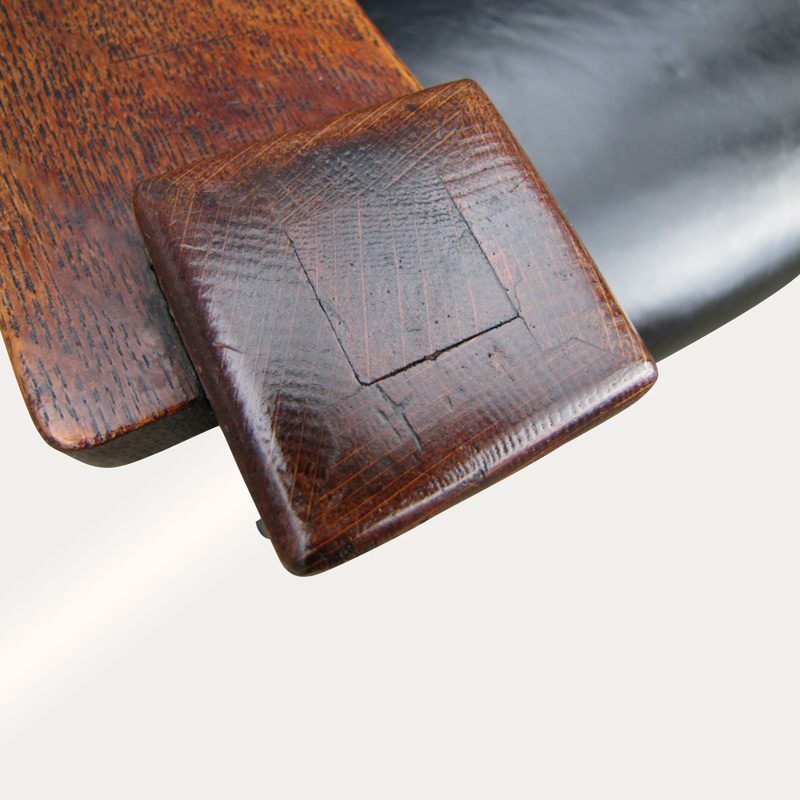 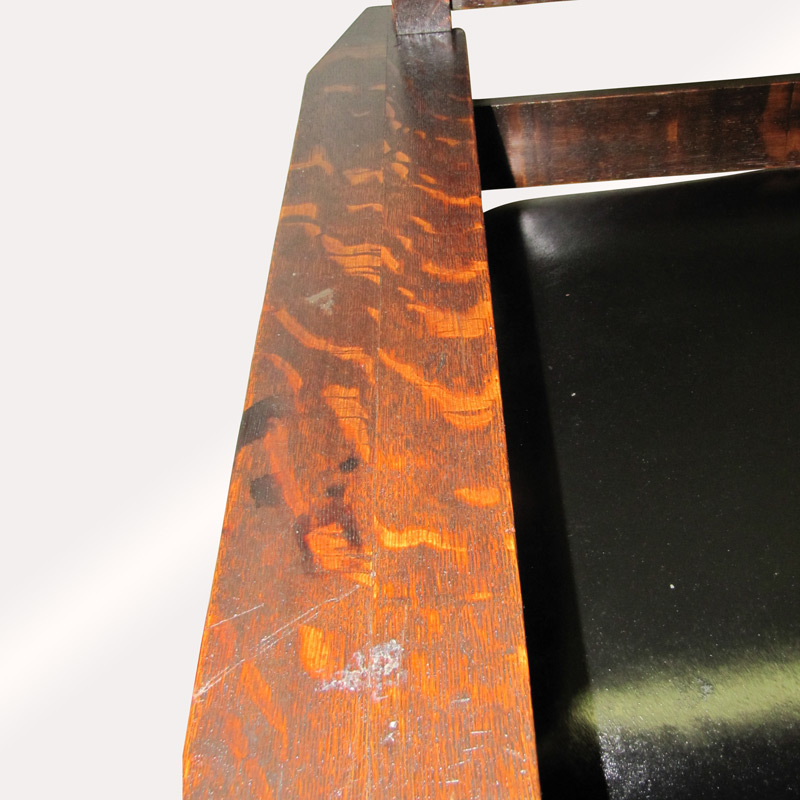 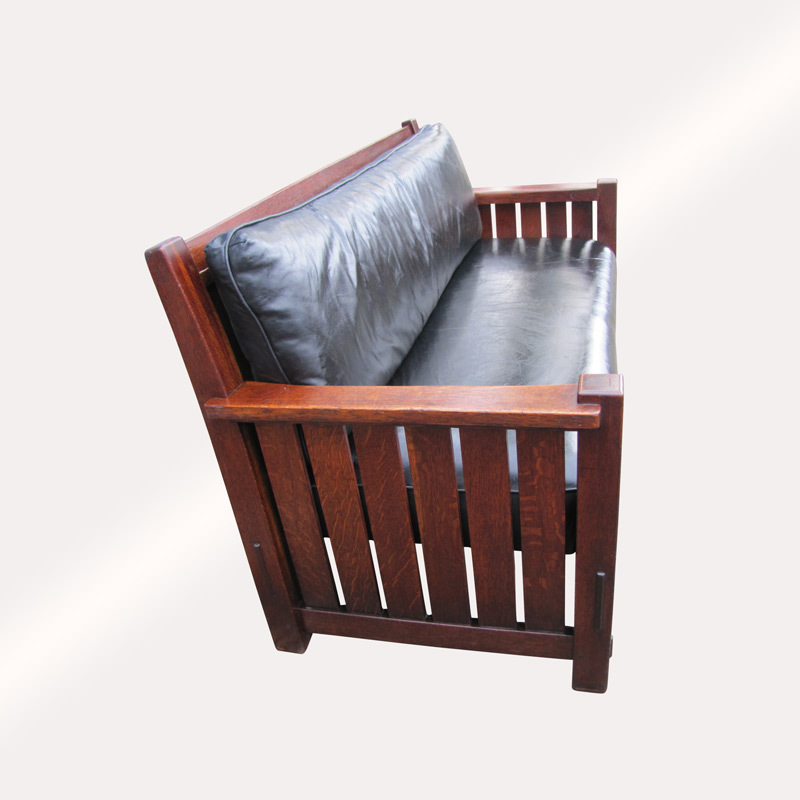 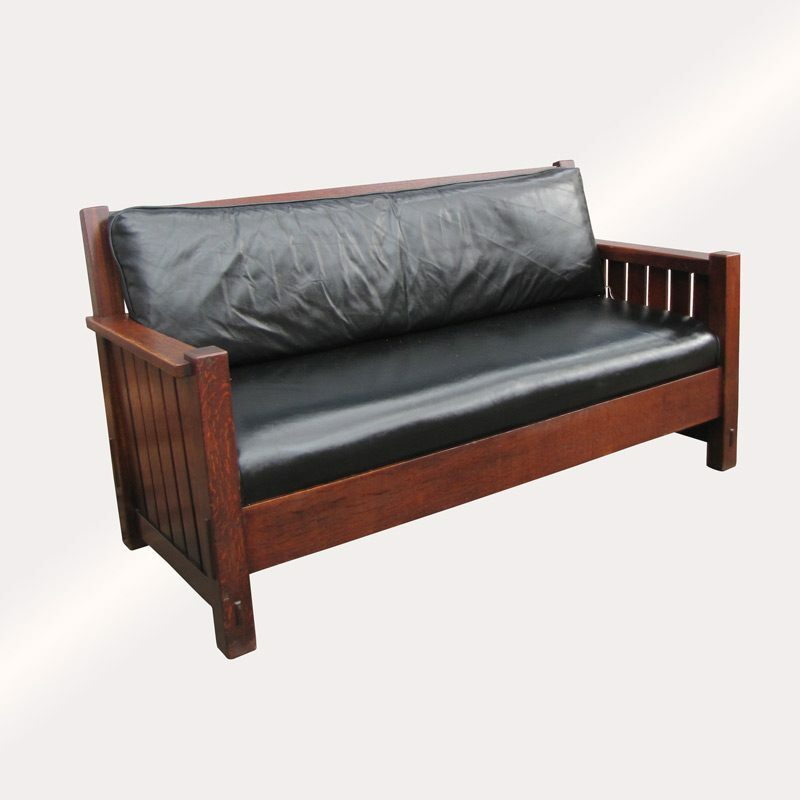 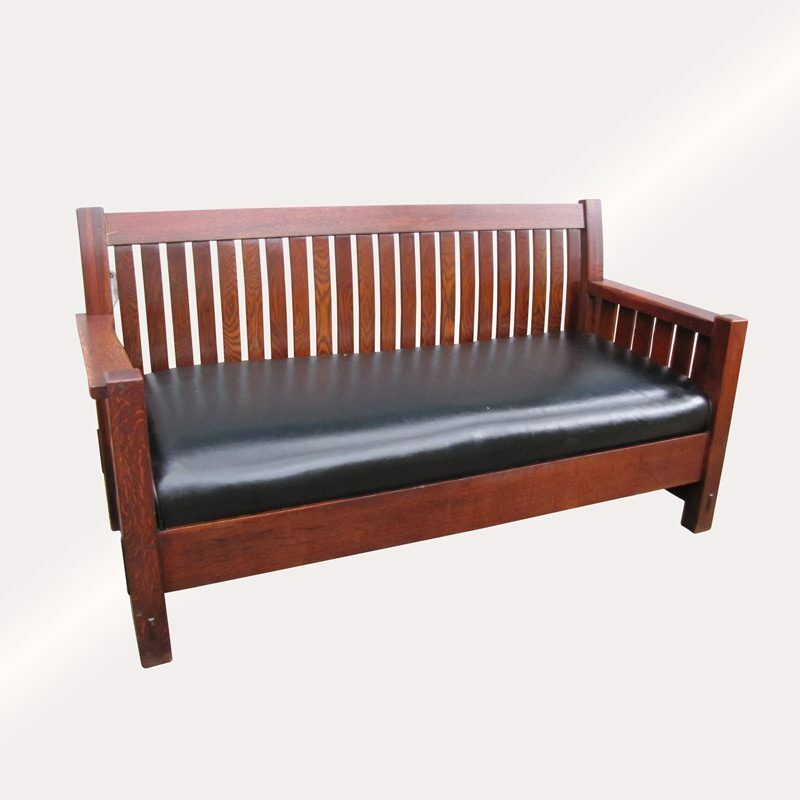 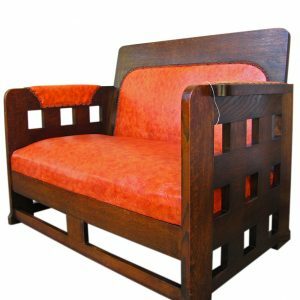 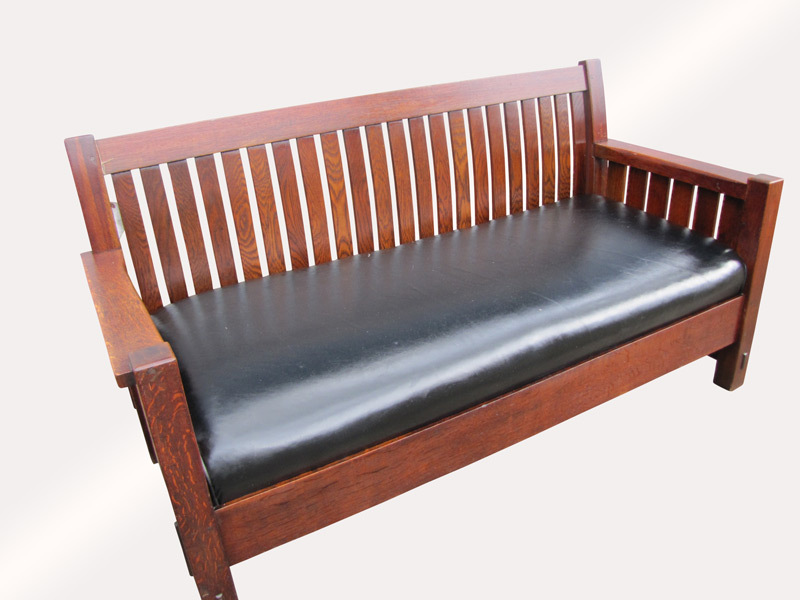 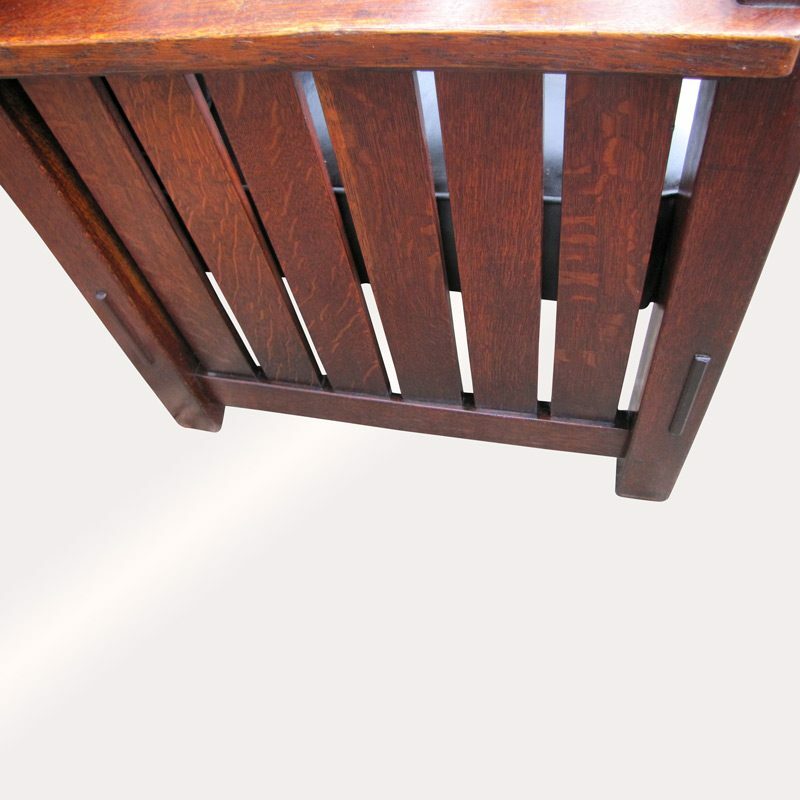 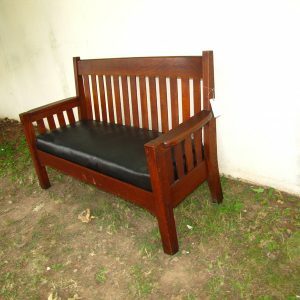 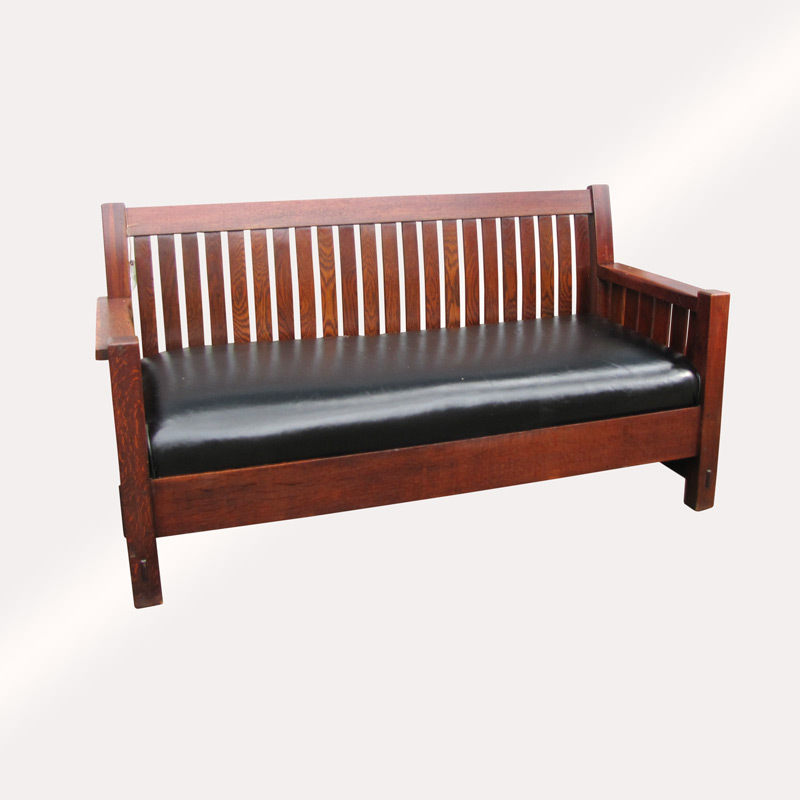 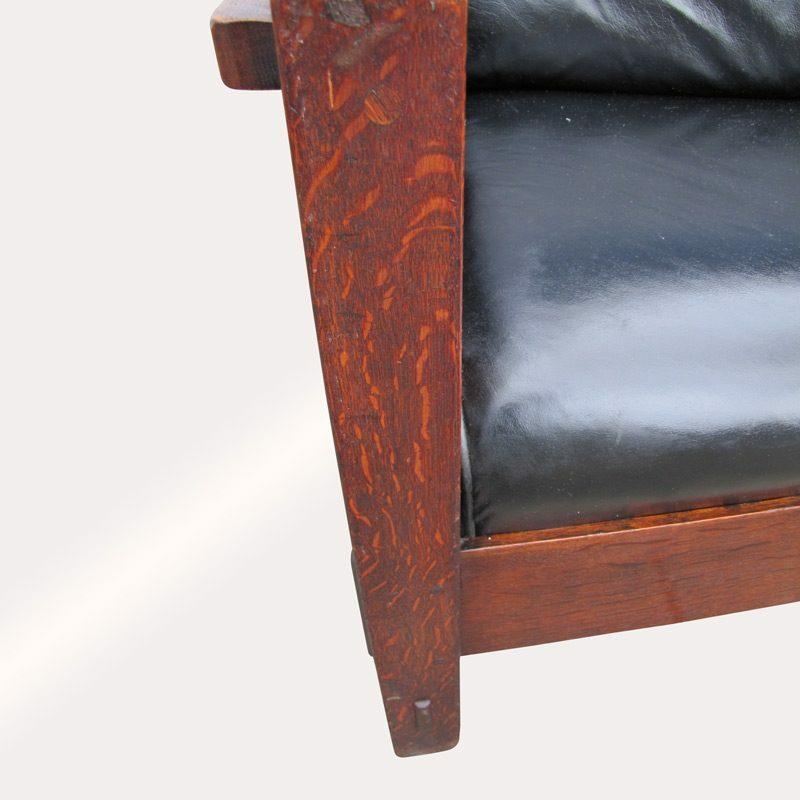 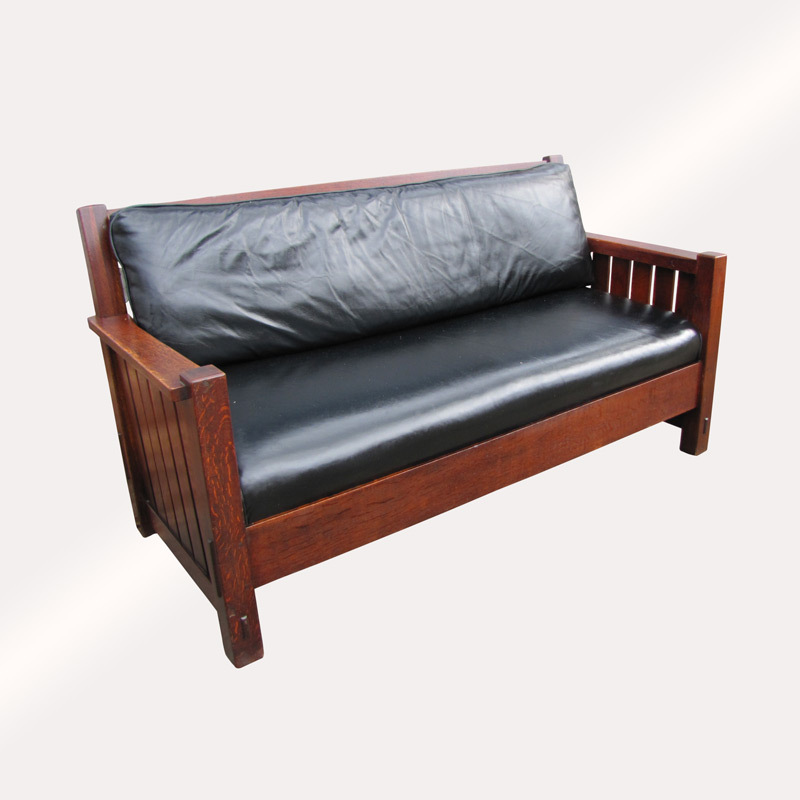 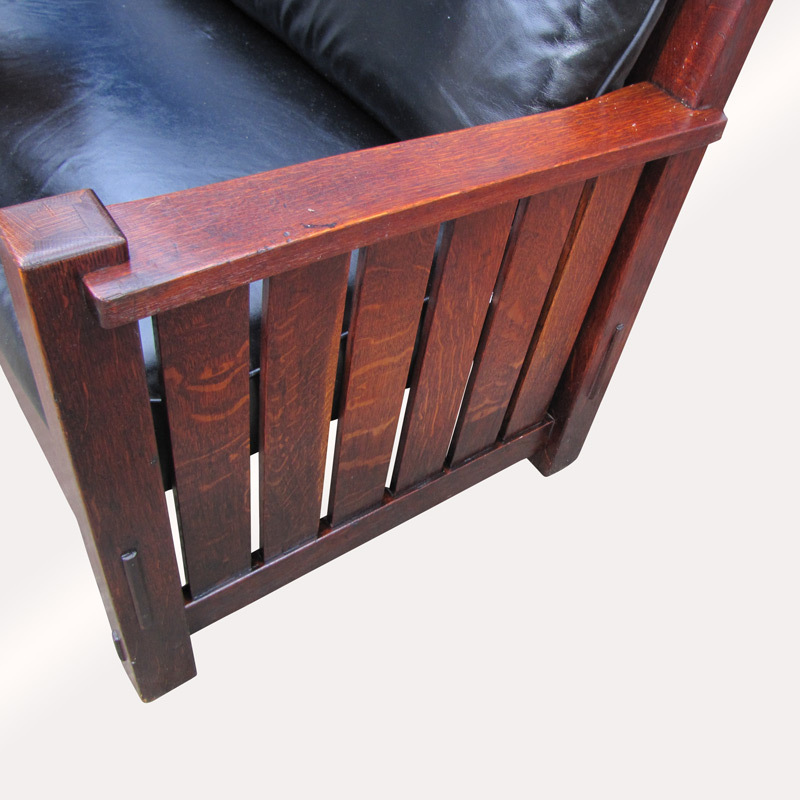 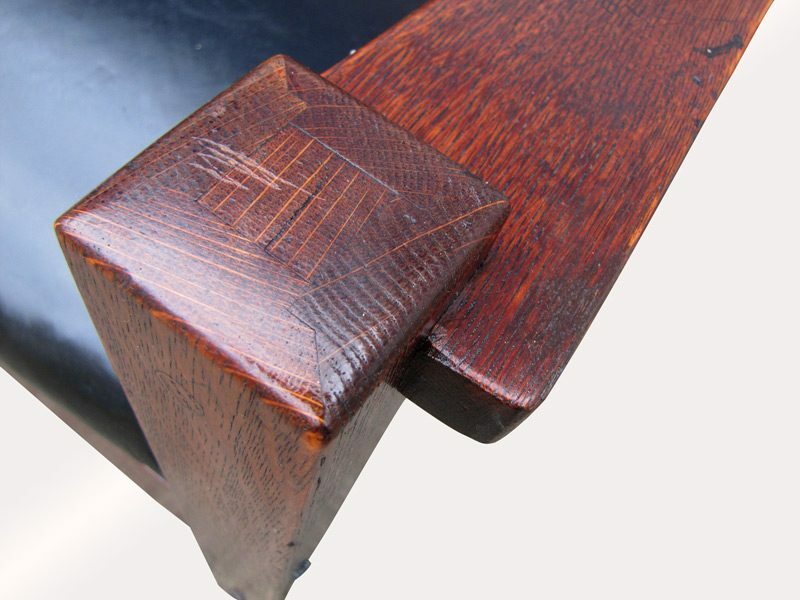 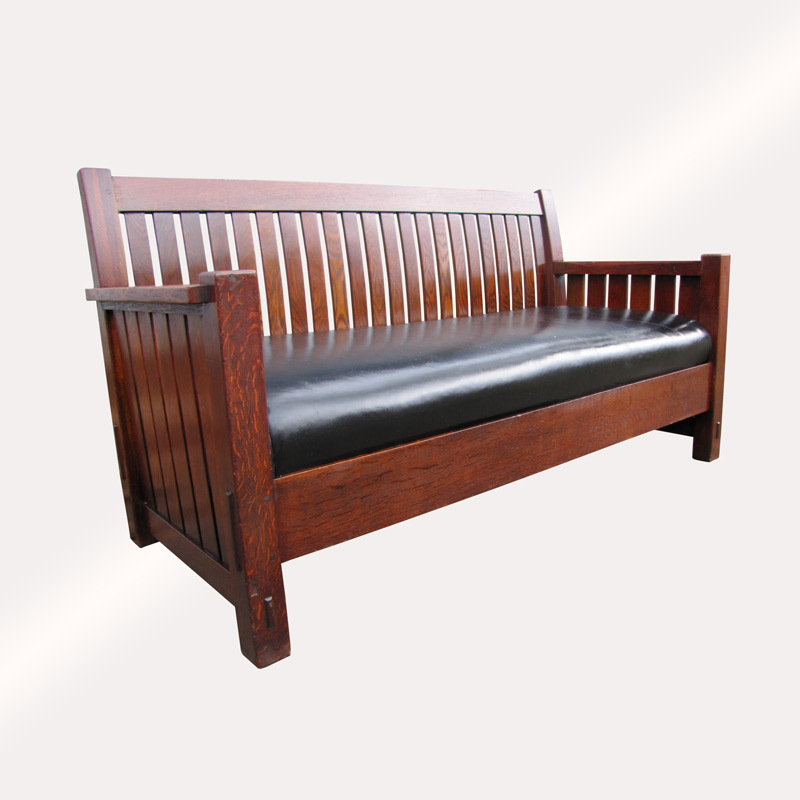 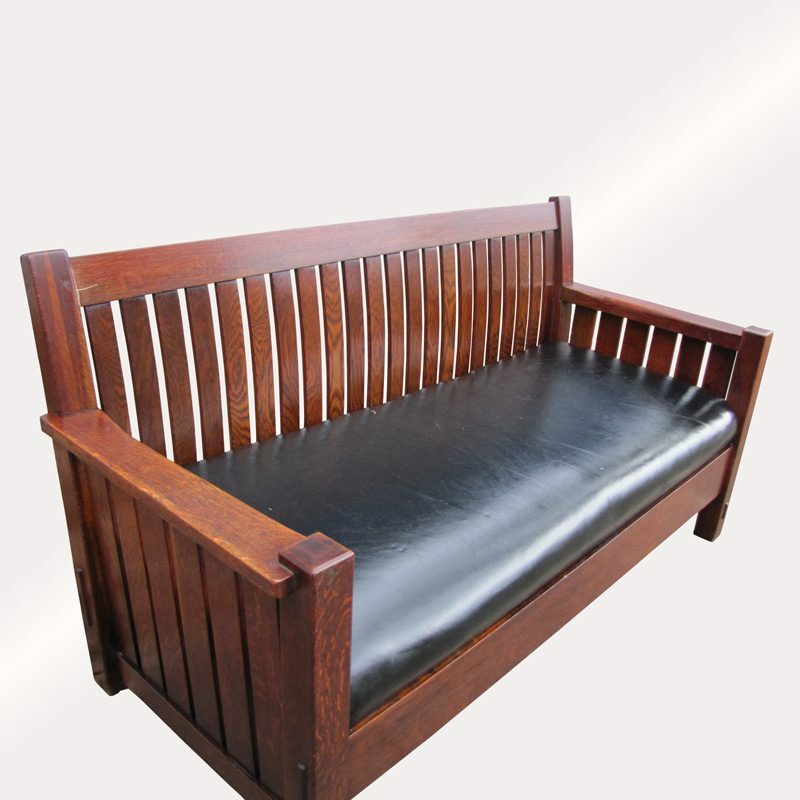 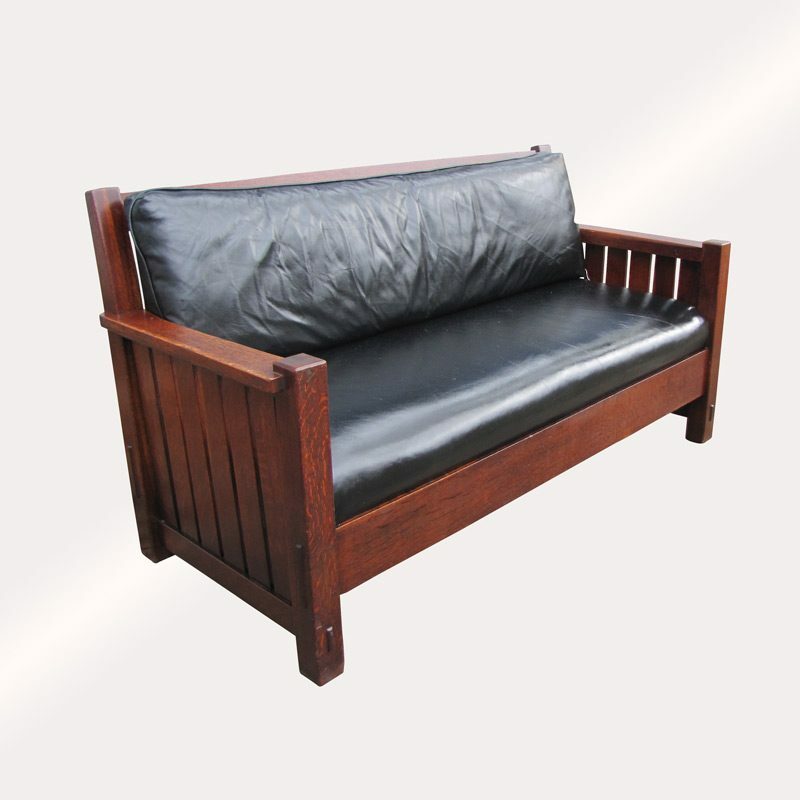 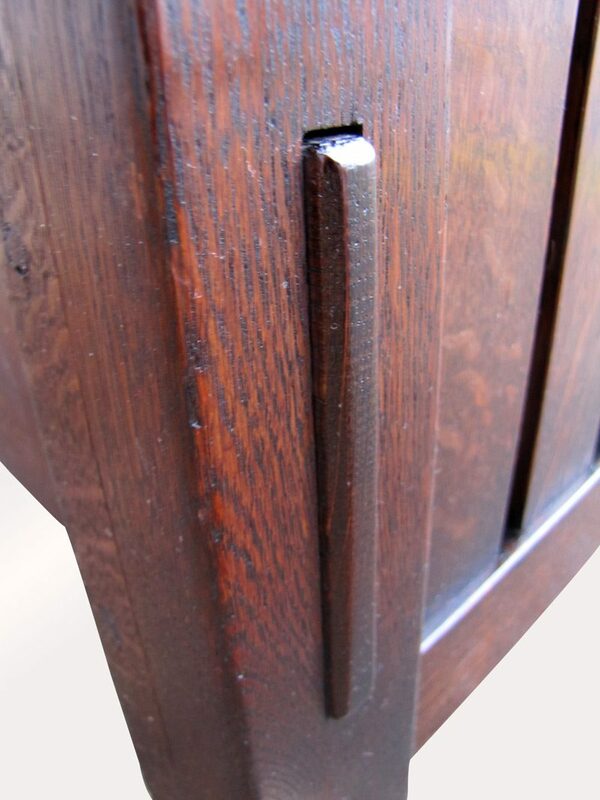 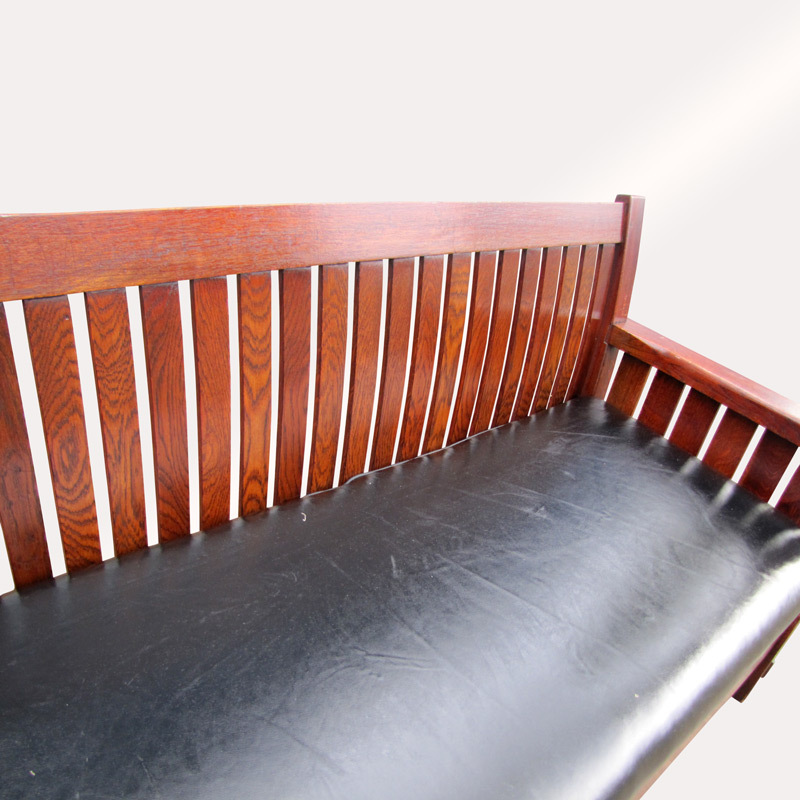 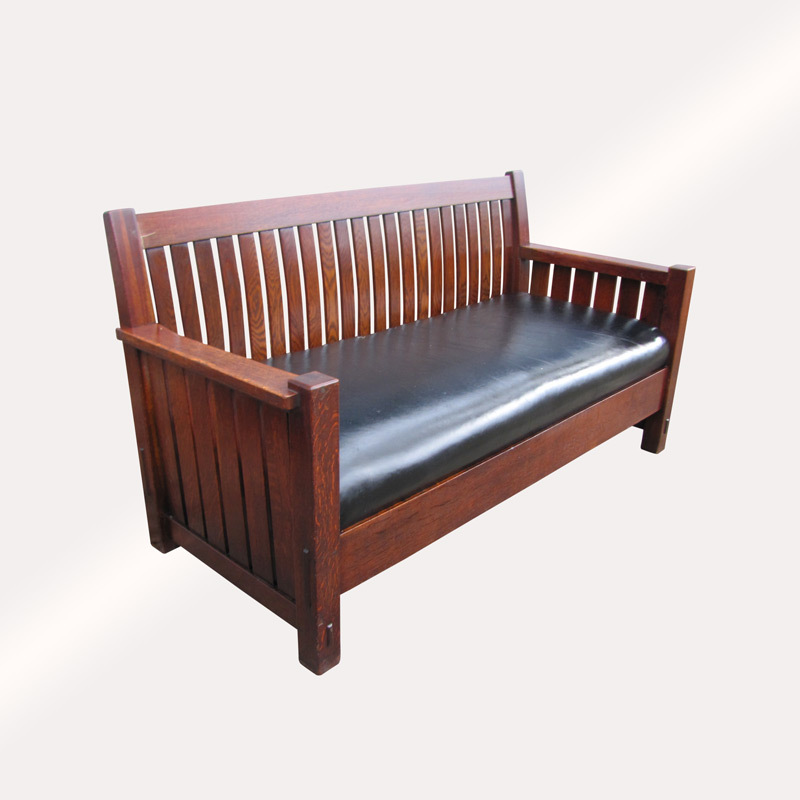 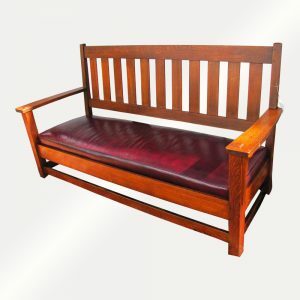 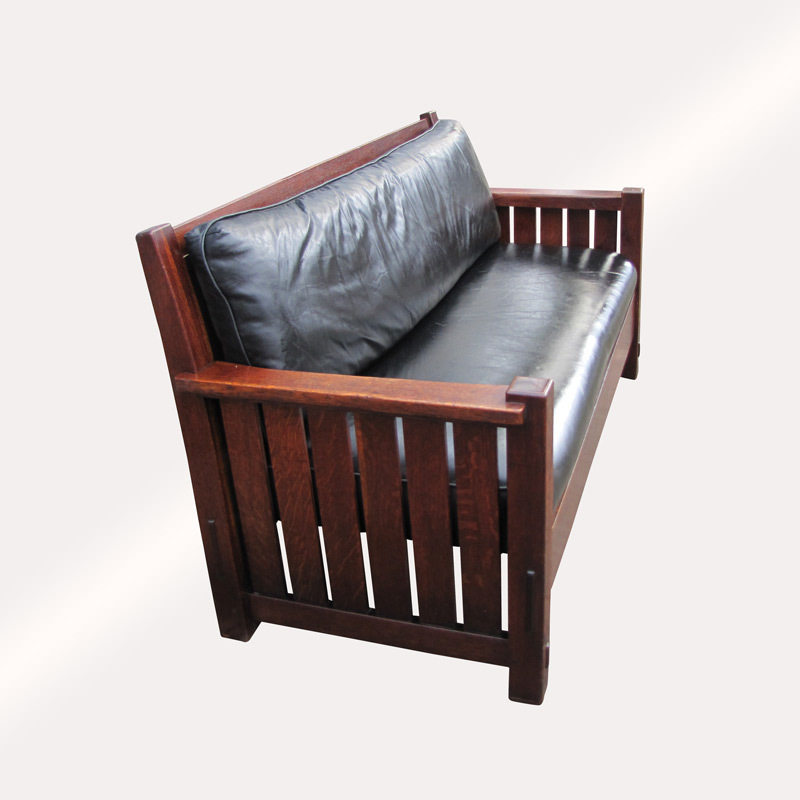 This is a great design L&JG Stickley cube deco design settle/settee in pristine condition, great fume black original finish and sharp lines with not even a nick. 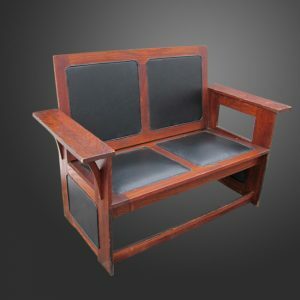 We sold many of this artist work but feel the design is superb in here. 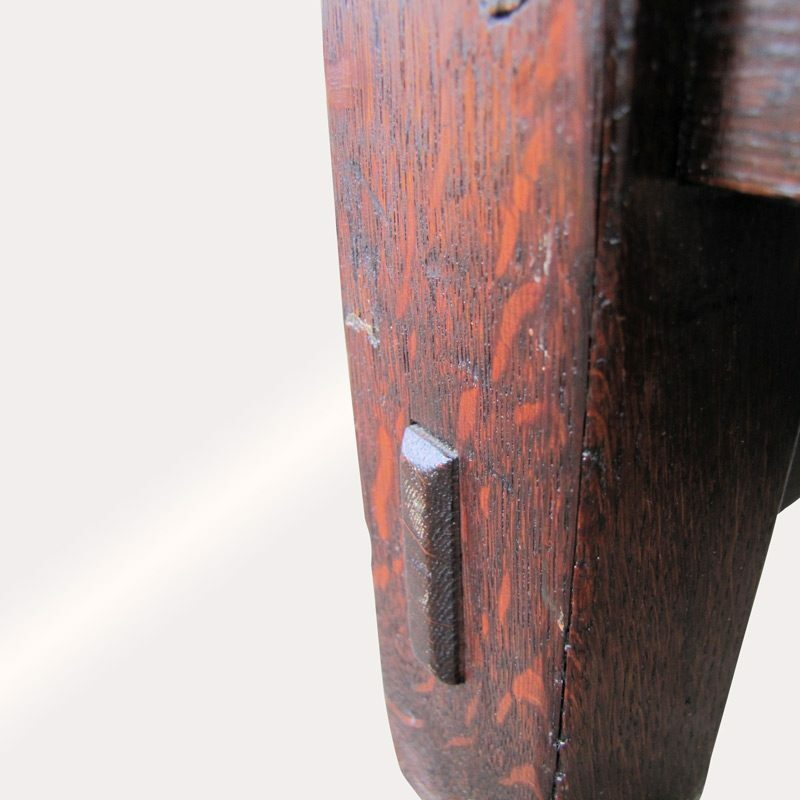 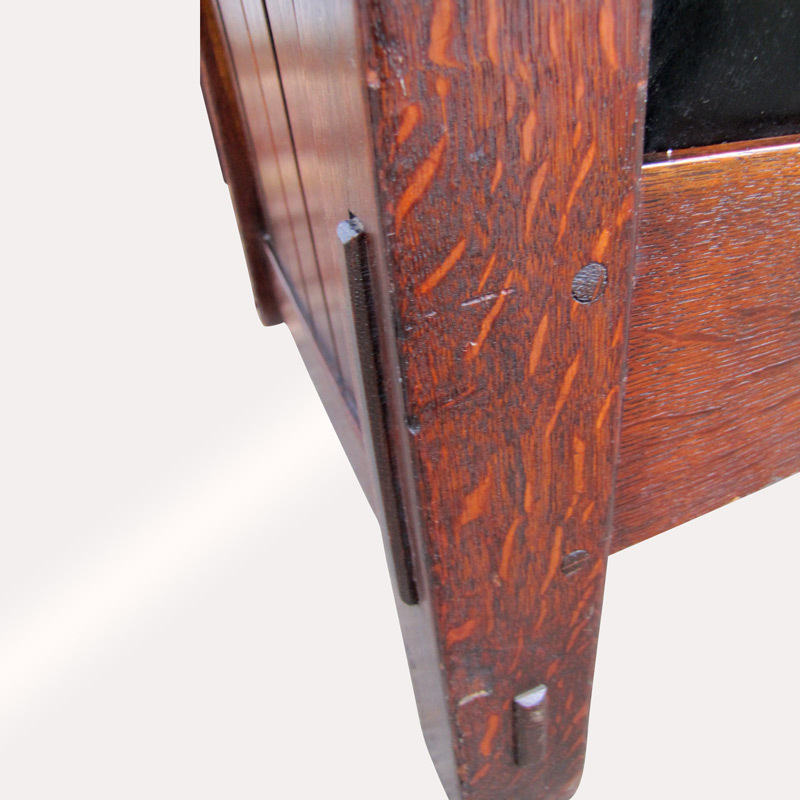 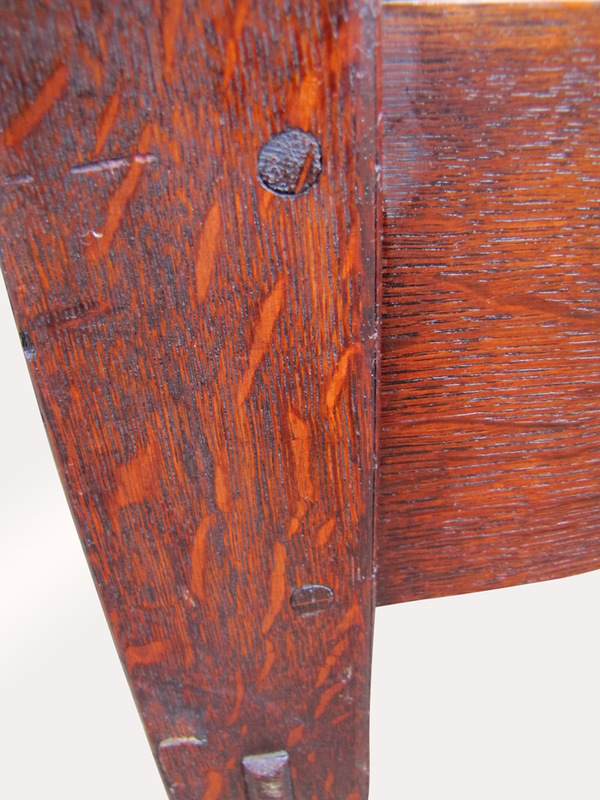 Well down all around with great pinning and the tenon contractions.